I have come across an amazing pan that you are definitely going to want to check out. This pan is called the Handy Pan and it is unlike any other pan in your cupboard. A PAN WHEN YOU WANT IT, A STRAINER WHEN YOU NEED IT! 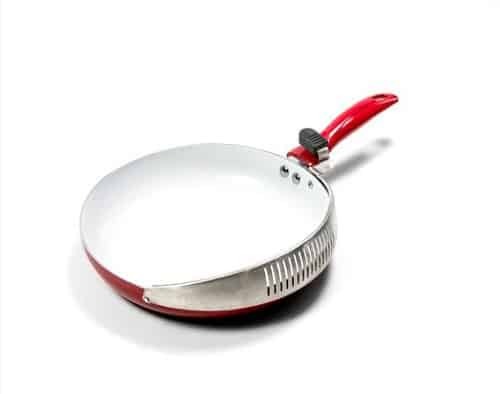 Handy Pan is the brilliant and perfect solution to the headache that comes along with straining unwanted grease or oil from food cooked in a frying pan. This innovative design eliminates the need to use a clunky colander, spoon, awkward lid, or other ineffective and inconvenient ways to strain food. Thanks to Handy Pan, no more spilling food while you strain, no more mess, no more cleaning colanders, and no more hassle at all. Heat resistant button is sturdy and durable! Comfortable and easy to use! High quality stainless steel strainer is safe, durable, and environmentally friendly! Environmentally friendly non-stick ceramic coating contains NO PFAS or PFOA! High grade stainless steel bottom promotes even heating and cooking! Safe for use on all cook tops. 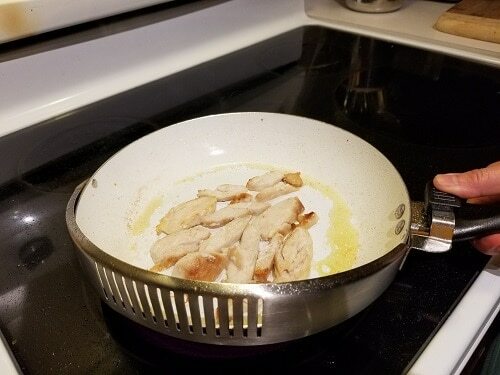 I had been searching for a new frying pan when I was introduced to the Handy Pan. I am so glad that I never settled for any other pan. The Handy Pan is the best frying pan that I have had. It is a good size, not too small and not too big. It is non-stick, which I love. The handle does not get hot. The lever does not get hot. Of course, best of all, it has the strainer portion so I can strain everything right from my pan. After out hunting for a new frying pan, I have to say that I was shocked at the prices of some frying pans these days. So when I came across the Handy Pan and saw the price of it, I was pleasantly surprised at the good price point especially when you consider that you are getting so much more than an everyday pan. I think that as soon as you see the Handy Pan video above, you too will fall in love with the pan. I know we have and I now feel like I need more than one. I could easily get rid of all my other frying pans and replace them all with a Handy Pan. I think that whether you are an avid cooker or a parent just wanting to get meals prepared, that the Handy Pan is for you. Disclosure: MomMomOnTheGo was provided product in order to conduct this review. As always, MomMomOnTheGo only supports companies, products, and services that she loves.